Voters in the French Pacific territory of New Caledonia are taking part in a referendum on whether to remain part of France or become independent. 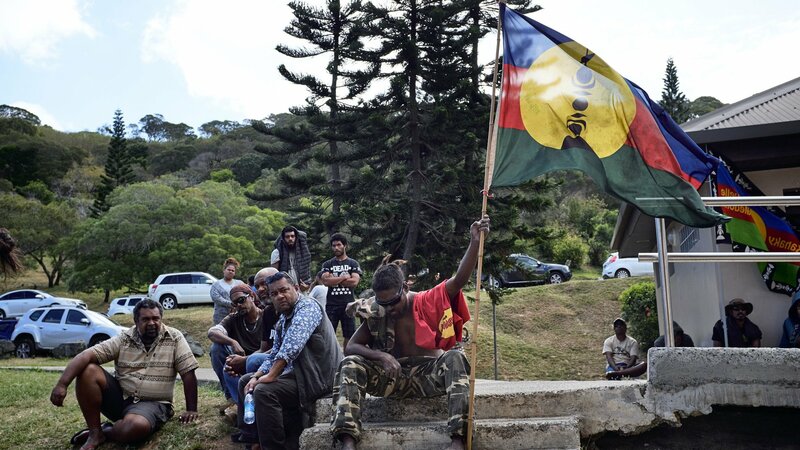 The vote was promised as part of a deal two decades ago after a violent campaign by separatists from the indigenous Kanak people. Pro-independence groups have urged Kanak voters to throw off the “shackles of colonial authorities” in Paris. However, polls suggest a majority of voters will reject independence. About 175,000 people are eligible to vote in the territory, east of Australia, but Kanaks make up less than 50% of the electorate. French nationalism is strong among the territory’s ethnic Europeans and observers say even some Kanaks back staying part of France. The remote islands receive about €1.3bn (£1.1bn; $1.5bn) from the French government every year. New Caledonia has large deposits of nickel, a vital component in manufacturing electronics, and is seen by France as a strategic political and economic asset in the region. French President Emmanuel Macron is due to give a televised address following the results which are expected at 23:00 local time (12:00 GMT). During a visit to the capital, Nouméa, in May, he said that France would be “less beautiful without New Caledonia”. Under the terms of the 1998 deal, in the event of a “no” vote, two further referendums on independence can still be held before 2022. If there is a “yes” vote it will be the first French territory to break away since Djibouti (1977) and Vanuatu (1980). New Caledonia is represented in the French parliament by two deputies and two senators. It has a congress which elects an executive with powers over some policy areas – notably policing, education and local laws. France first claimed the islands in 1853 and once used them as a penal colony. In the 1980s there were clashes between French forces and indigenous Kanaks. The climax of that conflict came when Kanak separatists held a group of French gendarmes hostage in a cave. The French assault cost the lives of 19 Kanaks and two soldiers.